Braughing Parish spans the Quin valley and is crossed by a large number of footpaths, byways and bridle paths. The Parish Paths Group, which is a sub-committee of the Parish Council, in partnership with the County rights of Way Officer, have worked hard to ensure the paths are kept clear and open so that everyone can enjoy our lovely countryside. The parish is a stronghold for many threatened farmland birds - such as Yellowhammers and Corn Buntings - and is an important wintering site for migrant birds like Fieldfares, Redwings and Golden Plovers. There are frequent sightings of Fallow, Roe and Muntjac Deer together with Badgers and Hares. In spring and summer the paths are covered in wildflowers including orchids, and these in turn attract butterflies and moths. In autumn the paths are dripping in fruit which is irresistible to many species of birds and animals. 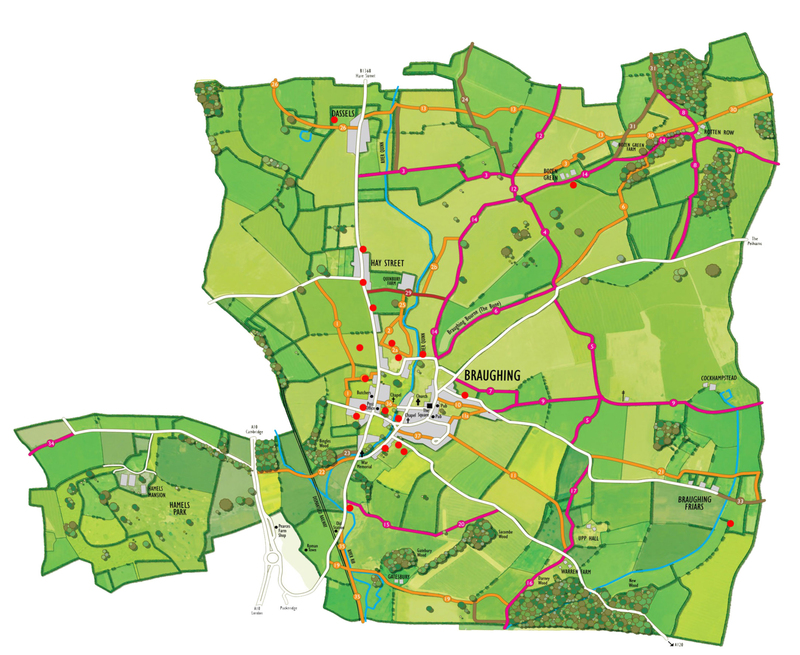 The Parish Paths Group has produced a downloadable map showing 4 local walks which all start and finish in the Village Square and range in distance from 4 to 9 kilometers. 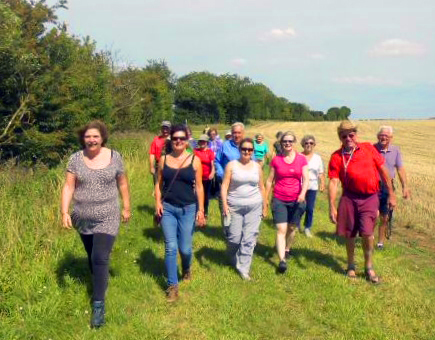 Additionally, the Parish Paths Group lead a walk on the first Sunday of the month. The walks last about 2 hours and cover 5-6 miles. We aim to cover all the paths in the parish at some stage in the year. We meet in the Village Square and depart promptly as the church clock strikes 2.00. In the winter months of December, January and February we start at 1.30 because of the failing light. For much of the year you can enjoy tea and cake in the Village Hall on your return. Everyone is welcome to join us including well behaved dogs and children who can manage the distance. The Parish Paths Group, organise yearly clear-up's in The Bone. This year, 30 plus adults, their children and dogs came down to The Bone on Sunday 28th October to help clear fallen trees, cut back shrubs, repair bridges, clear the stream-bed and reinstate the footpath at the bottom of the Bone. The sun shone and there was a real community spirit. Cakes, biscuits, tea and coffee kept everyone’s energy levels high! We achieved so much more than we expected! Many hands really do make light work and The Bone is once again accessible. Walks take place on the first Sunday of the month. Meet in the Square opposite the Axe and Compasses pub, ready to depart promptly at 2.00pm (1.30pm in December and January). 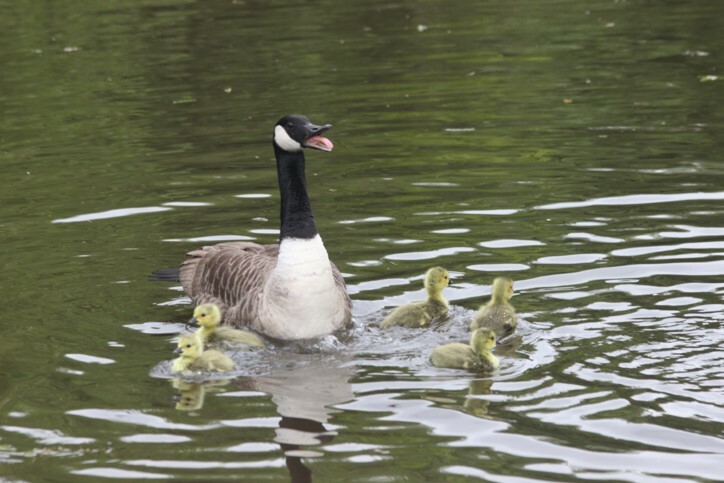 Sun 7th April 2.00 – village walk, meet in Square ready to depart at 14.00. walk lasts approx. 2 hrs, everyone welcome. Sunday 14th April – Pasque flower walk. Meet outside Fox & Duck Therfield ready to depart at 14.00. We will walk to Therfield Heath to see one of the few sites where the Pasque Flower, the county flower of Hertfordshire, grows. Walk lasts 2.5-3 hours, followed by a drink at the Fox & Duck (dog friendly pub). Everyone welcome. Contact Paul & Paula if you would like a lift. Safe walking information - Please wear boots or strong shoes as the paths are mainly across farmland or woodland and can be wet and muddy underfoot. Walks are not suitable for buggies. The Greenwich Meridian Trail is a long-distance walk that follows the line of the Prime Meridian.